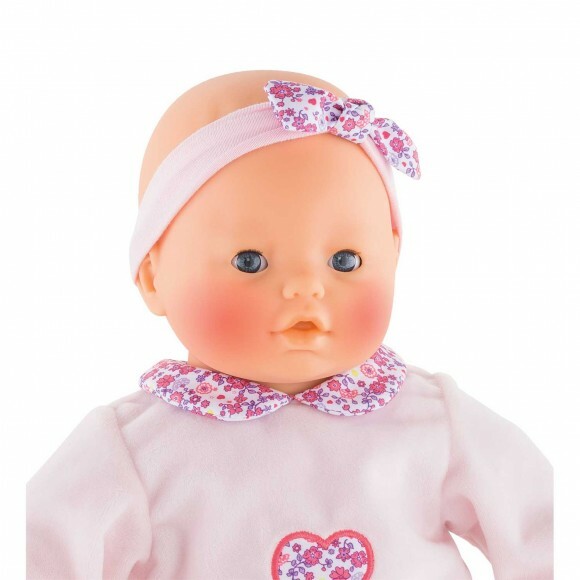 Lila Chérie is the perfect large baby doll for caring for doll like real parents. 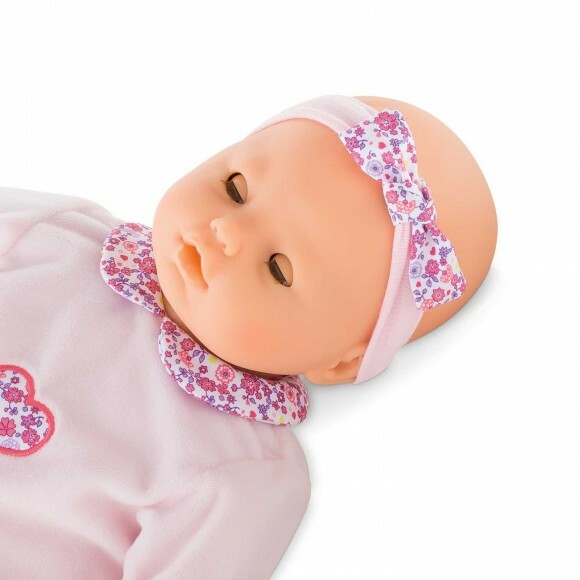 With her various sensors and three accessories, Lila Chérie is able to react and respond to your child's actions just like a real baby! - If you press her tummy, she laughs! - If you give her her pacifier or bottle, she makes sucking noises, and settles if she has been crying. - When you press her left hand for the first time she starts to babble and coo. - If you lie her on her tummy she cries. When her little mommy or daddy picks her up, she calms down by herself after a few seconds. - When you press her hand a second time she cries and her cheeks go red. 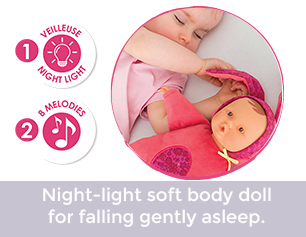 At 17”, this doll is just the right size for a child's little arms - perfect for cuddling, mothering and practicing what grown-ups do when caring for their babies. 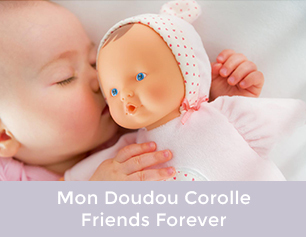 The doll's face, arms and legs are made of soft-touch vinyl. They are lightly scented with vanilla. Its soft body means it can move easily. It can keep its thumb in its mouth just like a real baby. With its sleeping eyes, it falls asleep when put down on its back. It is dressed in pajamas and a headband.  Requires 3 AAA (LR03) batteries, not included. Comes with interactive pacifier, interactive bottle and bib. Using another pacifier or bottle than the ones included will not make Lila Chérie react. 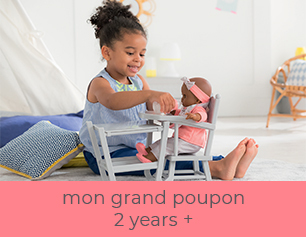 Lila Chérie has a whole collection of mon grand poupon Corolle clothes and accessories to let your child practice everyday skills and invent all sorts of different games.